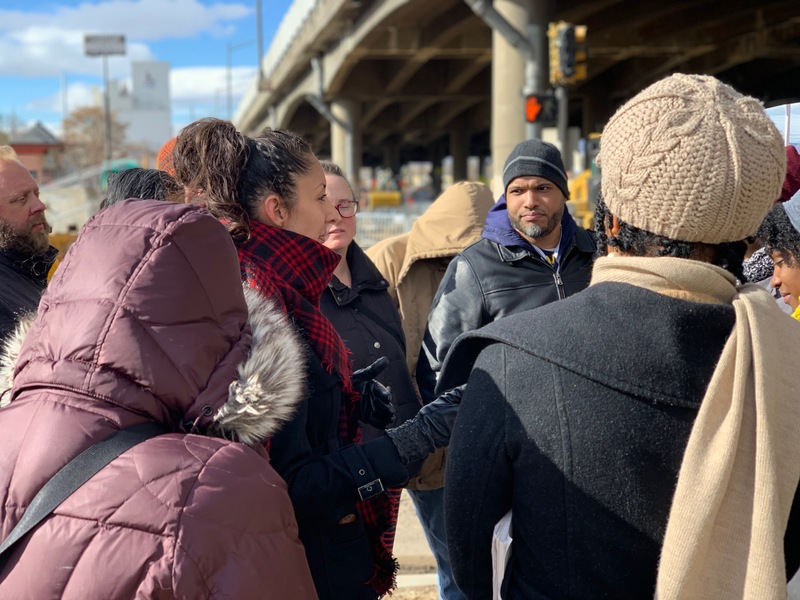 DENVER, CO (February 15, 2019) – The experiences on the recent Journey to Mosaic (J2M) trip were “gut wrenching” and the conversations sometimes difficult, but participants’ desire to learn from one another also instilled hope, they said. Journey to Mosaic experiences are contextualized in ECC conferences to explore historical and present-day injustices related to ethnic groups. 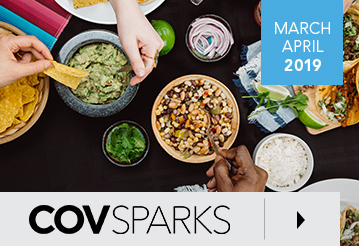 The recent Denver experience was a pilot partnership event among the Midwest Conference, Love Mercy Do Justice, and North Park Theological Seminary, which offered credit to students. Many of the participants said they were disturbed that they had never been taught about the Sand Creek massacre, Doctrine of Discovery, or the extent to which Japanese were interned in the U.S. during World War II. The Sand Creek massacre occurred on November 29, 1864, when a militia led by a U.S. Army colonel who was a former Methodist preacher, attacked a largely unarmed camp of Native Americans that was flying both American and white flags as a sign of peace. It is estimated that as many as 150 Native American, mostly elderly, women, and children were killed and deliberately mutilated. Kim Delp, a white ECC missionary to Ecuador on home assignment, said learning about the massacre was “gut-wrenching.” She didn’t know how to answer a professor’s question when he asked the group how they felt. Sanneta Ponton, an African American pastor at Metro Community Church in Englewood, New Jersey, said her view of the way God moves was expanded after listening to the story of Susie Silversmith, who grew up on a Navajo Reservation attending an Indian boarding school that was one of many across the United States operated by missionaries and denominations to assimilate Native Americans into Euro-American culture and convert them to Christianity. She was not allowed to use her native language while attending the school. The last of the schools was closed in the early 1970s, she said. 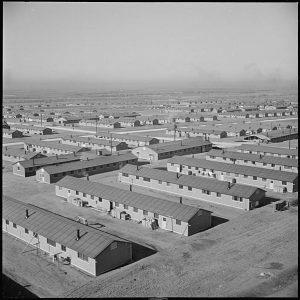 Amache as it was in the 1940s. Several in the group have already made plans to continue reading and discussing books together. Delp said she hopes to apply what she learned in Colorado to her ministry in Ecuador, where the largest population she ministers alongside are Kichwa, a group that has suffered frequent displacement. Soong-Chan Rah, professor of church growth and evangelism at North Park Theological Seminary, helped organize the trip. “I would love to see a version of J2M (in some form) in each conference,” Rah said. 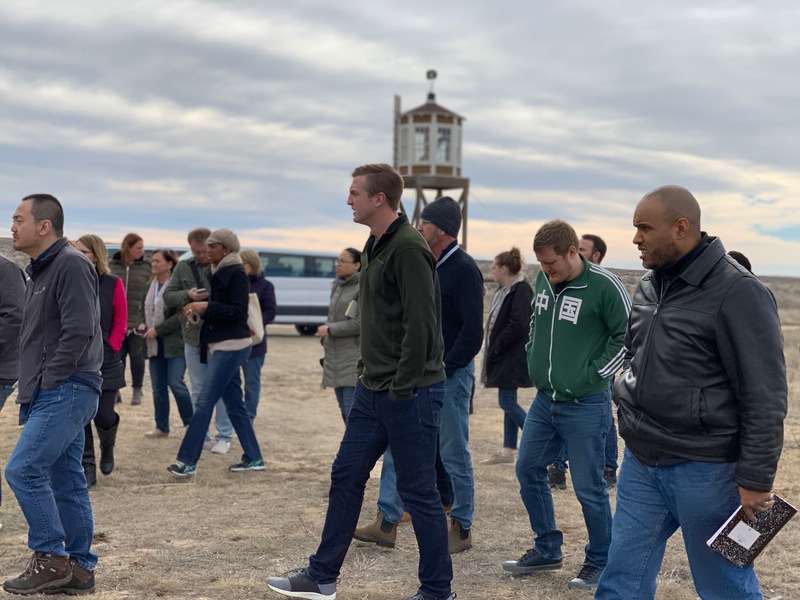 Journey to Mosaic participants toured the site of the Amache Japanese internment camp. A guard tower stands in the background.